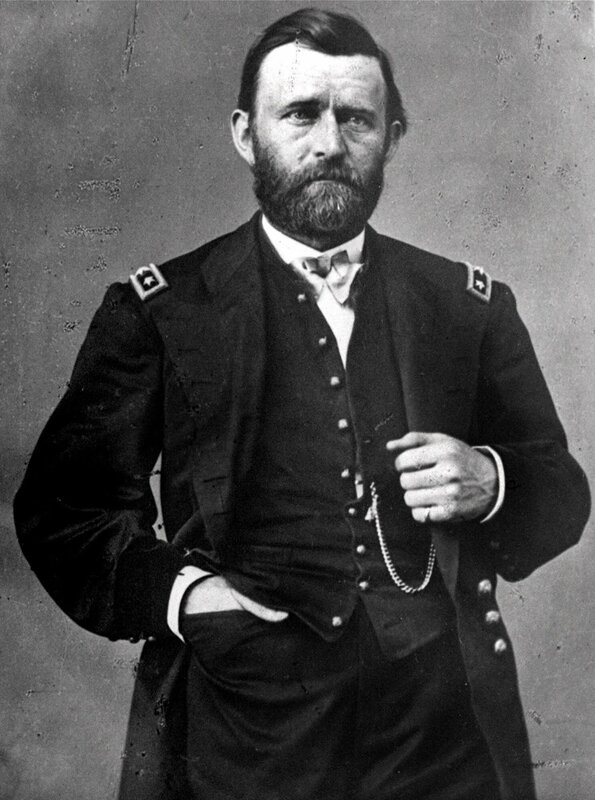 This weekend marks the 150th Anniversary of Ulysses S. Grant’s promotion to Lieutenant General and designation as Commanding General of the U.S. Army. Often discussed in passing as regards the 1864 campaigns, to contemporary eyes this was a major event in the war. Grant’s promotion reveals much about the political and military undercurrents in March 1864. Grant’s third star was required to give him sufficient rank and stature to command more senior officers still in the field, of which there were several. It also neatly sidestepped a potential political issue, because Grant was junior to the shelved (but still on the active rolls as seniormost Major General) George B. McClellan. Grant’s role was only 43 years old in 1864 – scarcely older than its occupant. Before formal creation of the job of Commanding General in 1821, whoever happened to be the Army’s senior officer on active duty was the overall commander. From 1821 to 1861, there had been three Commanding Generals (Jacob Brown, Alexander Macomb, and Winfield Scott). Grant was the third Commanding General since the war began, succeeding Henry W. Halleck and McClellan before him. Grant embraced his new role, and titled his headquarters “Headquarters Armies of the United States.” This impressive title also conveyed a message – all field armies were part of one coordinated team, and he would move them as such. It was the first signal that a new leader with a different outlook was in place. The next thirteen months proved the wisdom of Lincoln’s choice. This entry was posted in Leadership--Federal, Personalities, Politics, Sesquicentennial. Bookmark the permalink.